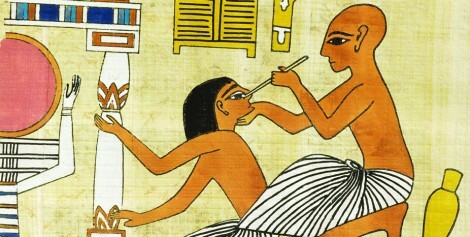 The history of plastic surgery goes as far back as 2000 B.C. In India and Egypt, ancient physicians practiced some of the most rudimentary forms of plastic surgery. According to a 1994 article in the Washington Post by Thomas V. DiBacco, reeds were used in Egyptian nose reconstruction to keep the nostrils open as the nose healed. In 600 B.C., the Indian doctor Acharya Sushrut published the Sushruta Samhita, a collection of medical texts about plastic surgery, the first of its kind in ancient history. In another part of the world, plastic surgery also experienced its earliest developments. Around the first century B.C., Roman physicians practiced early beginnings of surgical methods to alter the body. With a culture that highly valued the physique and beauty of the natural human body, ancient Roman doctors operated on former gladiators whose bodies and faces had become severely damaged. Then, in the late 1500s, a breakthrough in plastic surgery occurred. In Sicily, Italy, Gasparo Tagliacozzi experimented with skin grafts for nose reconstructive surgery. However, Tagliacozzi’s progress was hindered by the influence of the Church. In addition, the technology of general anesthesia was still in its earliest stages at this time, which made any plastic surgery attempts extremely painful. For centuries, plastic surgery continued to struggle without much progress; plastic surgeries were performed sparingly with mixed results. In 1907, the first text pertaining specifically to cosmetic surgery, “The Correction of Featural Imperfection,” was published but disregarded by the medical community. However, the outbreak of World War I would change the course of plastic surgery history forever. As the history of the American Board of Plastic and Reconstructive Surgery (ASPRS) describes, trench warfare caused thousands of WWI soldiers to receive extensive trauma wounds on their faces, necks, throats, and arms. This resulted in plastic surgery quickly becoming an independent medical practice that varied greatly across the nation. In order to regulate the profession, the ASPRS was created in 1931. With the establishment of an authoritative institution, plastic surgery began a new age of enlightenment. 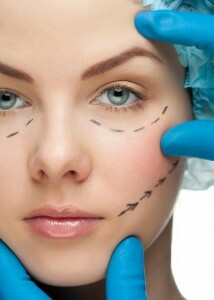 Within the past 100 years, the field of plastic surgery has experienced tremendous progress. The first medical journal for plastic surgery saw its first publication in 1946, which increased communication about new developments in the medical community. In response to the rapid growth of plastic surgery, the ASPRS eventually changed its title to its present name, the American Board of Plastic Surgery (ABPS). Virtually all types of plastic surgery have undergone considerable technological advancement, and many have received lawful recognition; in 1998, President Bill Clinton signed a law requiring insurance companies to cover breast reconstruction surgeries after a mastectomy. In the mid 2000s, interest in plastic surgery skyrocketed. Popular shows such as Extreme Makeover, Dr. 90210, and Nip/Tuck gave the plastic surgery industry a new and familiar look to the public. Despite its rocky historical past, plastic surgery is a growing multi-billion industry. According to the American Society for Aesthetic Plastic Surgery (ASAPS), the demand for plastic surgery services has only decreased by two percent in the past year. Of all plastic surgeries, breast augmentation and liposuction are the most common, with women usually accounting for 91 percent of the patients. Today, modern technology continues to expand the horizons of plastic surgery. From its earliest beginnings to its most recent developments, the world and history of plastic surgery continues to evolve.